Aw, man. What a bummer! The news of Ken Ober's death is yet another reminder that life is short, surprises can pop out of nowhere and the MTV show "Remote Control" was da bomb. Ober, 52, was discovered dead at his Santa Monica home on Sunday and had been complaining to friends of being ill. A cause of death has not been released, but some news sites have reported he had a heart attack. Obviously, "Remote Control" was Ober's tour de force, easily the highlight of his career. The show also helped launch the careers of Stud Boy, Denis Leary and Colin Quinn. 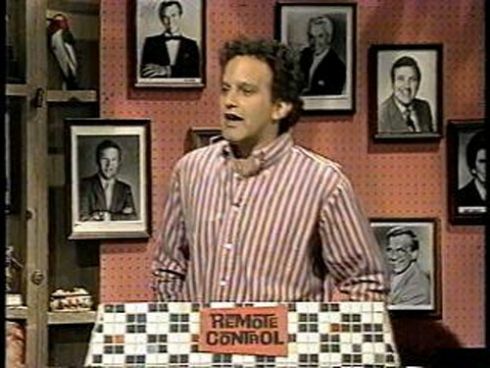 Although those three have all gone onto make mega-bucks in their mega-careers, "Remote Control" arguably is their best work. No joke here. Stud Boy released a statement on Ober's passing, and here it is: "Ken Ober was one of the sharpest, quickest, sweetest guys I ever met. He was always a great friend, and I will miss him very much." So will the Snooze Button Generation.